Finncy's Garden Digital Stamp is Finncy in all his glory in the garden patch. You will certainly have your creative way with this one, as there are so many items for you to customize. A great creative addition for your card making, scrapbooking, and hybrid scrapbooking projects. 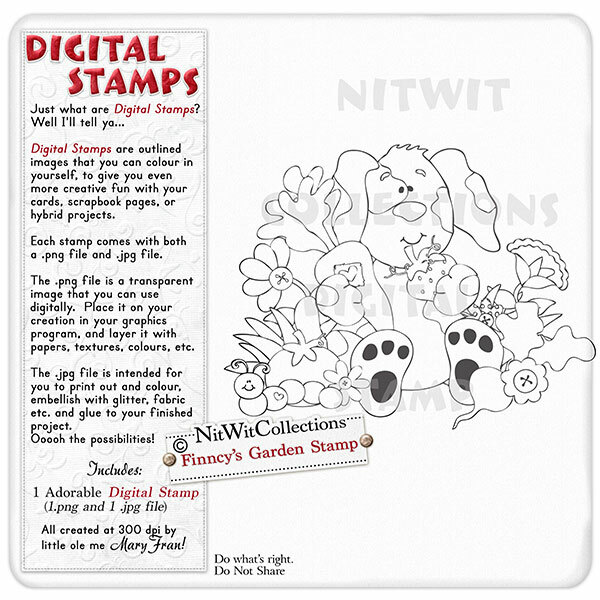 Included: 1 Finncy's Garden Stamp (2 files - 1 image is a .png file and 1 is a .jpg file format).